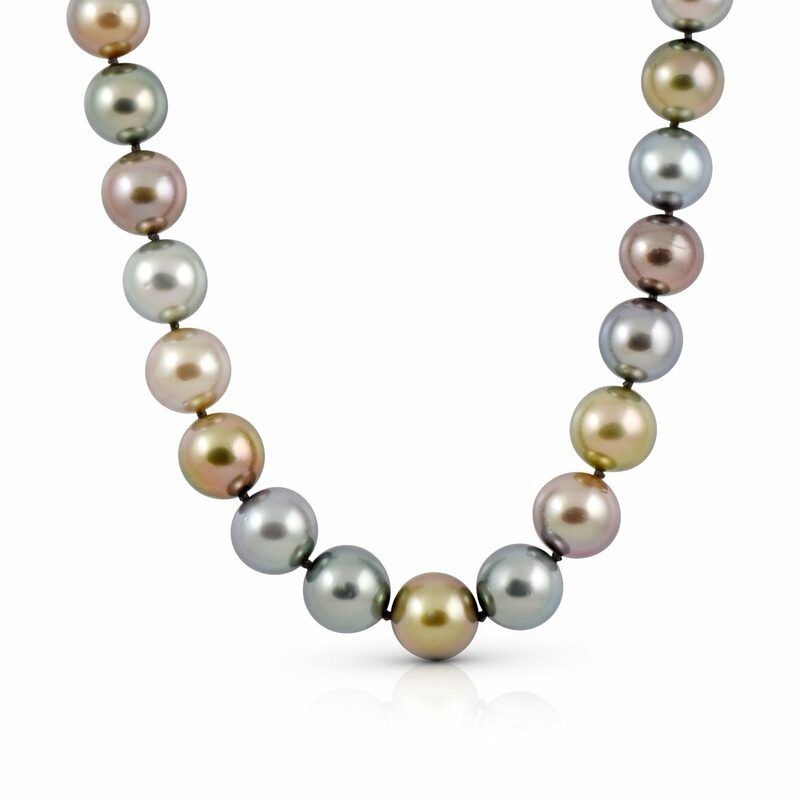 A Tahitian south sea pearl strand. 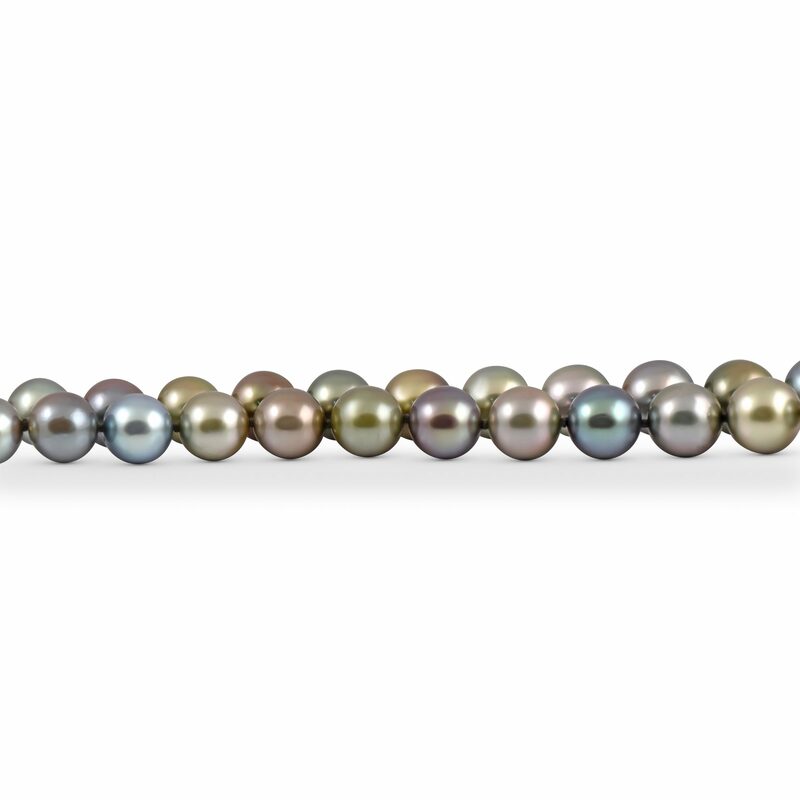 Featuring 41 round tahitian pearls, graduating in size from 9 to 10mm, with colours including sea green, lime, grey and royal blue peacock, finished with a sterling silver catch. 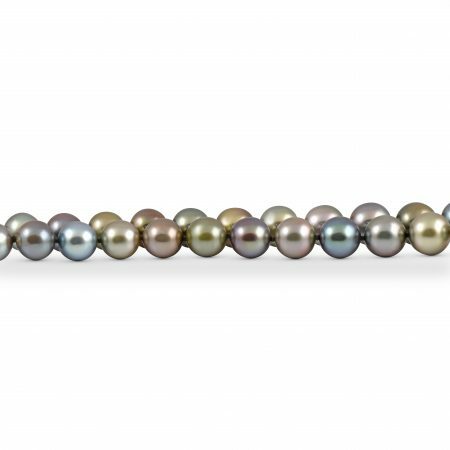 Looking for Tahitian pearl stud earrings to match? View here.